Baseball is probably the most ‘American’ of all the US Sports. Despite being much older than American Football, basketball and ice hockey, and despite having had a ‘World Series’ for over 115 years, the sports is really only played to any professional degree in the USA and oriental countries such as Japan. This however has all changed in the last few decades as TV coverage and internet streaming has grown. The world is also a more traveled place meaning baseball exposure and demand has grown through ex-pat American’s. Of course the other vital factor is online betting. Prior to betting sites you would struggle to bet on a ball game across the pond, but these days you can bet on everything from the World Series to the South Korean KBO league. Whatever markets you want to wager on you can now find with most UK-facing and European bookies. On this page we look at the best betting sites for free bets and other offers and those with good prices, market depth, streaming and other features to add value to your bets. Winner are by far the best for regular offers on US Sports, if you bet a lot on those types of markets, and if you bet on accumulators especially, you could find a lot of added incentive to bet with Winner. For starters they have a long term acca deal that gives insurance on 6+ selection (1/2+ odds per leg) MLB combos should one leg let you down. This goes up to £25 (stake back as a free bet valid one week). In parallel to this you can also get a bonus on doubles (5%) that increases the more legs you have, up to 50% for a 12+ winning acca. All bonuses in cash up to £5000 extra. This deal is also open to the NBA, NFL and NHL so you can mix and match. Secondly Winner also give you a £10 free bet for every 20 wagers (£10+ evens+) placed in play on mobile in a calendar month on MLB (+ NBA, NHL and NFL), you can claim up to twenty of them to, i.e. £200. 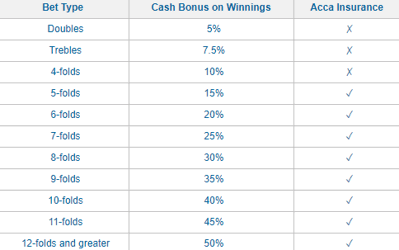 Each are valid from one week and awarded when you reach each threshold of 20 bets. This is available for any baseball, including MLB, but can also be mixed with any American Football, Basketball and Ice Hockey, USA leagues and those from around the world. Place 5+ selections in your accumulator with odds greater than 3/10 (1.3) and if one of those picks should let you down you will get your stake back up to £25, minimum £5. This is awarded in £5 incremental free bets (each with a one week expiry open to any sportsbook markets), e.g. place an £18 bet and one leg fails get £15 back as 3 x £5 free bets. Therefore if using this offer it generally makes sense to bet in units of £5. If you want reliably good value prices, bigger market depth than pretty much anywhere else and long standing offers then Bet365 is your home for baseball betting. Red Zone Sports are a UK site but a specialist in US Sports, offering the lowest margins around and with many lines not even available elsewhere, plus lots of offers & loyalty. You will find Betway on every page for American sports, they are one of the very best for both market and offer availability. If you bet on baseball often get an account. One of the only sites with permanent deals in place for major US leagues, including MLB. This is usually an accumulator offer with additional incentives for mobile betting. Coral are a solid option, you can guarantee a large range with plenty of advance availability and decent prices. The real draw here is loyalty as you can earn a lot of added value. William Hill are simply massive and this means you can’t ignore them, the wealth of resources here means they are leader in pretty much everything, including baseball. 888 are a global brand and one of the few companies that still operate in the US. This means they know their stuff when it comes to pricing up markers and knowing what punters want. Paddy Power can be middle of the road for standard odds but then they have so many great offers that by holding an account with them can still add a lot of value. Serious bookie with serious markets, so if what you are after is vast depth, strong features and good promotions, without too much razzmatazz, then look no further. The vast majority of British and European people have always had a mixed relationship with American sports. On the one hand, we’re snooty about the way that they approach a sport like football and completely underplay it, yet on the other most people never take the time to learn how the games that are national pastimes in the US are played. That’s the important point that you need to remember when it comes to looking at a sport such as baseball – it’s not only a sport, it’s a way of life. At the age of four American children play in the Little League, with more than two and a half million doing so with the official organisation and countless others playing in local leagues. English sports fans might mock Americans for getting excited about watching the final of a sport that only they play and yet calling it the ‘World Series’, but it’s indicative of how seriously the country takes it as well as where the game’s lovers feel it should be in the rankings of sports around the globe. Those that have ever seen baseball live understand its appeal more than those who have only seen it on TV; it’s as much about the social aspect of having a drinks and catching up with friends as it is about the sport. Yet it’s a difficult sport to completely comprehend unless you have a vague idea of how the rules work before you sit down to watch it. 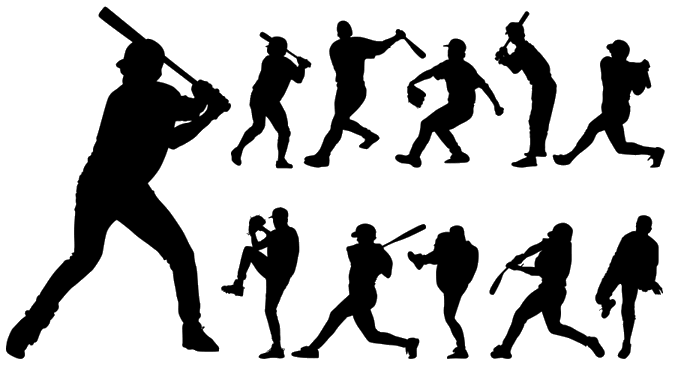 On this page you’ll learn about baseball’s history, plus the basics of how it plays and the major winners in the sport’s best-known tournaments. If you’ve read any of the other pieces on this site that introduce you to various sports then the introductory line of this one won’t be a surprise, but the exact origins of the sport aren’t entirely known. A game played with a bat and ball took place in Egypt, which we know because the ball used can be seen at the British Museum, should you wish to go there and view it. Perhaps somewhat unsurprisingly, games played with a bat and ball have been popular throughout history, thanks in no small part to their simplicity. Whether it be Romanians, Russians and even French monks playing a ball and bat based game in the fourteenth century or milkmaids playing Stoolball in England in the century that followed, evidence of games similar to baseball can be found where you look. Some people believe that baseball came out of rounders, which was a game that was played in England in the eighteenth century and is in some ways reminiscent of the American sport, but that’s unlikely to be true. It’s far more likely that both games were derivations of cricket, given that it was formalised in the seventeenth century, before either of the others were really well-known games. There was another game called ‘English Baseball’, which is still played in part of Wales. That is more like a hybrid between rounders and cricket as a run is scored every time a player reaches a base. The likelihood is that baseball evolved out of these games when they arrived in North America via Canada in the wake of the American Civil War. Indeed, the first reference to it came in 1791 in the bylaws of a town called Pittsfield in Massachusetts. By the time the nineteenth century was well underway, bat and ball games were played with regularity throughout North America. 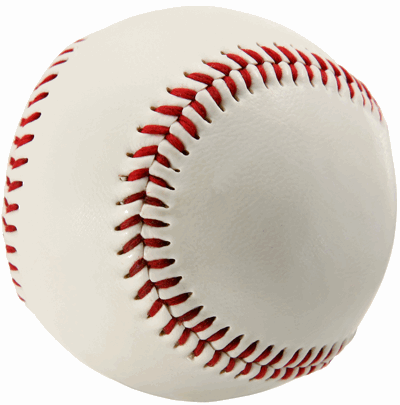 Known variously as ‘town ball’, ‘round-ball’ and ‘base-ball’, they bore similarities to the sport that baseball would later become. One of the major moments in the development of the game came about in 1845 with the formation of the ‘Knickerbocker Rules’. Codified by a member of the Knickerbocker Club called Alexander Cartwright, the rules forbade certain practices common in the street games and allowed the use of a smaller ball than previous. Though not all of the rules were the same as those that would be locked-in for baseball – you had to bowl underhand, for example – there were enough similar ones for historians to believe that that was the moment that the game of baseball developed out of. Whatever the truth of the matter is, it’s widely accepted that the first game of baseball as a game similar to the one we now know took place in June of 1846, with the Knickerbockers losing to the New York Nine. Over the following twenty years or so, baseball clubs began to spring up all over the place. In 1857 the National Association of Base Ball Players became the sport’s first governing body of any sort. In the half a century that followed, those Knickerbocker Rules were altered, changed and refined until the sport became the modern one you’ll watch if you head to a baseball ground. As a result, numerous different leagues were formed, the oldest of which is the National League that was founded 1876. It would be untrue to suggest that all of the leagues saw eye-to-eye, especially as some of them specifically forbade black players from taking part. This culminated in the forming of the World Series in 1903. As suggested before, baseball is quite a complex game to get your head around if you’ve never played it or your knowledge is limited to catching moments of it played out on television. The first thing to understand is the number of players that are involved in a game, which is eighteen. This is made up of nine players on each team, which can be broadly separated into the fielding team and the batting team. The two teams swap roles when three players on the batting team have been called ‘out’. The idea of the sport is to score more runs than your opponents, which you’ll have nine innings in which to try to do. American sports tend not to like draws, so if the two teams are level at the end of those nine innings then extra ones can be played until a winner is found. There is no timer on a baseball game, meaning that it can keep going until it’s over. 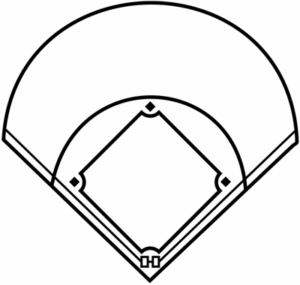 Baseball is played on a diamond-shaped pitch, which boasts four bases at a distance of ninety feet apart. The pitching mound, where the pitcher is located, is in the middle of the infield opposite the Home Plate. The Home Plate is where the batter finds themselves at the start of the game, with the other bases called First Base, Second Base and Third Base. Behind the batter is the catcher, whose job it is to catch any balls that the batter doesn’t hit. 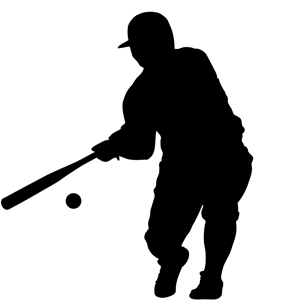 The idea behind the sport is that the batter wants to hit the ball as far as they can in order to run around the bases and touch each of them on the way past. The pitcher, meanwhile, wants to throw the ball in such a way that the batter will attempt to hit it but miss. The batter is allowed three misses, known as ‘Strikes’, before they’re out. Every time a batter runs right the way around the bases it’s known as a run, with balls leaving the playing area being declared to be a ‘Home Run’. The various positions that are filled by the defensive fielding team include the aforementioned Pitcher, who is responsible for bowling the ball to the batsman, the Catcher, the First Baseman, the Second Baseman, the Third Baseman and three outfield players. These tend to be situated in the left field, the right field and, unsurprisingly, the centre field. The National League of Professional Baseball Clubs – Better known simply as the National League, this was founded in 1876 and features fifteen teams. It tends to be thought of in three sections, with the National League East featuring teams such as the Miami Marlins, New York Mets and the Washington Nationals, whist the National League Central has the Chicago Cubs, Pittsburgh Pirates and St. Louis Cardinals, amongst others. Finally, the National League West has the Arizona Diamondbacks, Los Angeles Dodgers and San Fransisco Giants amongst its teams. The American League of Professional Baseball Clubs – The younger professional baseball league in America is known as the American League. Having developed out of the Western League from the Great Lake States, it took on its Major League status in 1901. As with the National League, this one is often viewed in three parts. The AL East boasts the likes of the Baltimore Orioles, Boston Red Sox and New York Yankees in its number, whilst the AL Central features sides such as the Chicago White Sox. Detroit Tigers and Kansas City Royals. The AL West, meanwhile, sees sides like the Houston Astros, Oakland Athletics and Texas Rangers in its ranks. The World Series – Every year the winners of the The National League of Professional Baseball Clubs and The American League of Professional Baseball Clubs go up against each other. First played in 1903, the winner of the World Series is considered to be the best baseball team on the planet until the following year. It’s a best-of-seven series, the winner of which is awarded the Commissioner’s Trophy. The Central League – This is Japan’s equivalent to the National League in America. It features six teams such as the Chunichi Dragons, the Hiroshima Toyo Carp and the Yomiuri Giants. Having been founded in 1949, the league has grown in popularity year on year. The Pacific League – The equivalent of the American League, this division was also formed in 1949. As with its Central alternative, it has six teams within its ranks like the Chiba Lotte Marines, the Orix Buffaloes and the Tohoku Rakuten Golden Eagles. The Japan Series – Japan’s equivalent to the World Series is the Japan Series. It was founded in 1950 and sees the winner of the Central League go up against the best team in the Pacific League. The extent to which it models itself on the World Series can be seen in the fact that it’s also a best-of-seven set of games, with the winner being declared to be the Nippon Professional Baseball Champions. 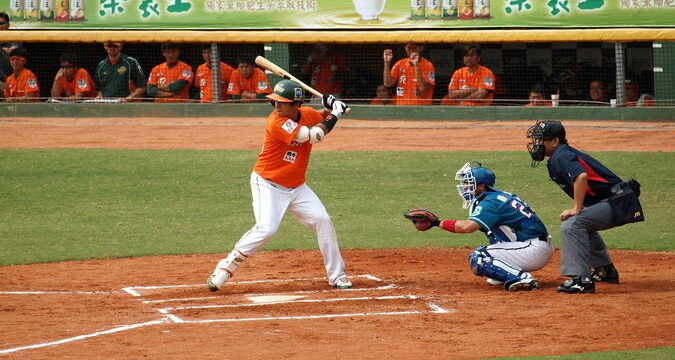 World Baseball Classic – Founded in 2005, this tournament was designed to bring the best baseball teams together and promote the sport around the world. It’s modelled around the idea of the World Cup and is a tournament in which nations, rather than specific teams, go head-to-head. As mentioned, the sport of baseball is predominantly popular in the US, Canada and Japan. There have been attempts to change that in recent years by creating tournaments that welcome teams from around the globe, but it hasn’t yet caught on hugely in the wider imagination. Above is a list of the most successful teams in each of the tournaments mentioned, with some rather obvious crossovers. After all, if a team is the most successful in one half of the baseball leagues in the US then they’re also likely to have won more World Series’ than another side.